“Intuitive Flow” 200 Hour Teacher Training Program is designed for practitioners to learn to become a certified Yoga Instructor, students or teachers who are interested in deepening their understanding of the practice/system of Yoga, or those desiring to further their education. It will provide you with a solid foundation in yoga philosophy, yoga anatomy, asana technique and effective sequencing. 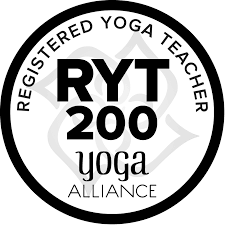 This 200 Hour intensive Teacher Training Program meets the Yoga Alliance standards and will be held under the supervision of Shay Doytier (E-RYT 500). Graduates will also recieve their REIKI LEVEL I + II Certification through Reiki Master Linda White. Students who graduate the Program are eligible for registration with the Yoga Alliance at the 200 Hour level. SAVE $300 IF PAID IN FULL BY MAY 15, 2019. Email teachertraining@theyogaconnection.com for more details and info. Yoga is a physical and spiritual practice providing deep health benefits. It is the perfect stress management tool for developing the ability to cope with everyday life. We make yoga accessible, affordable, and all-inclusive by providing a comforting oasis for you to explore the full benefits without judgment, pressure, ultimatums, or demands. Leave class feeling stronger, recharged and relaxed. Sounds like magic? It is! This is Yoga for EveryBody.